Good Morning Kitchen Fans! In looking at the news this morning. I found this article about "What is a Kitchenette?" I thought to myself, well, everyone knows what a kitchenette is right? But went and read the article anyway. I was correct in "what" a kitchenette is, however I was truly surprised by the information in the article. I had no idea that people are having kitchenettes put in their homes, even if they have a chef's kitchen! 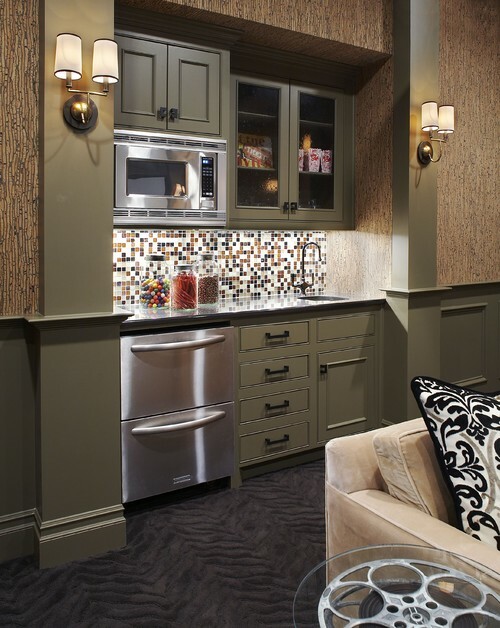 The kitchenette in this picture is from a media room in the basement. How awesome is this? You can read the article yourself by clicking here.